"I really like the block I am sharing with you today. It looks complicated, but it’s really not. It is simply half-square triangles and rectangles. 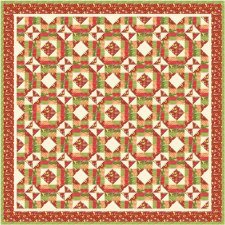 When you put a bunch of blocks together, you can make some really cool quilts. 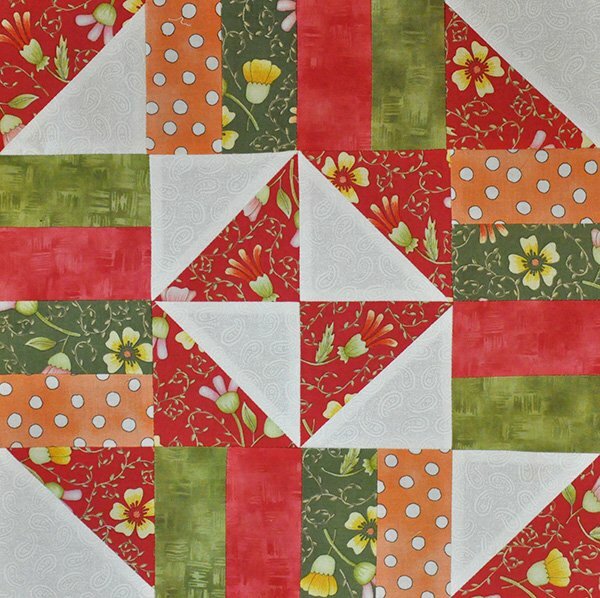 This tutorial will show you how to make a single 12″ (12 1/2″ unfinished) block. 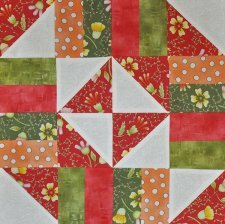 The number of blocks you need to make will depend on what kind of quilt you want to make. 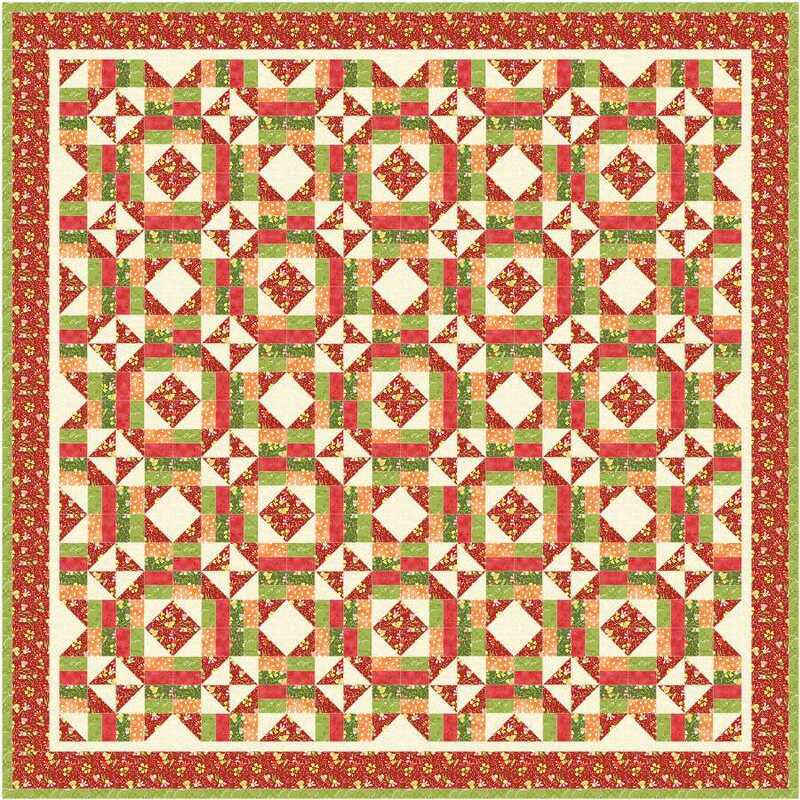 Of course, you can just make a single block and use it in a sampler quilt, or as a pillow or potholder (click here for a quilted potholder tutorial). The fabrics shown are from my Fruitful Hands Fabric line."